The Recycling People offers a flexible and convenient furniture removal service for your needs. We understand waste disposals tasks can be demanding and time-consuming. 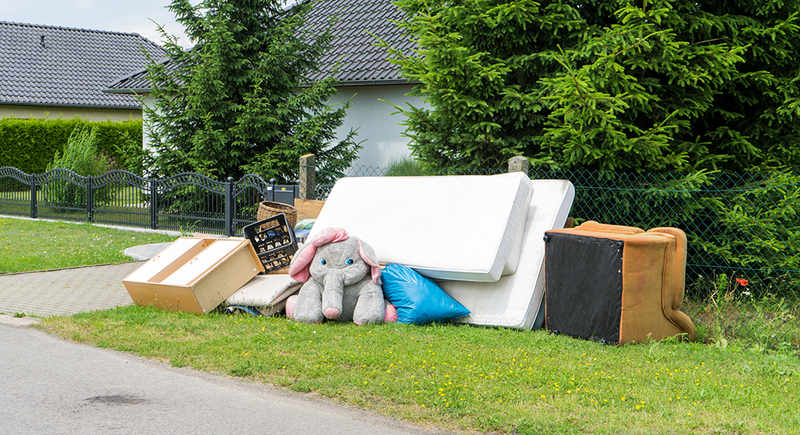 With The Recycling People, we offer a waste management service that doesn’t require a skip. When deciding to clear your house of any unwanted waste, you don’t want to wait forever to get the job done. Our furniture removal service is available seven days a week. With a 24/7 online booking service, our removal service can be carried out on the same or next day. The Recycling People is fully licensed and accredited by the Environment Agency, so you can be assured that we aim to recycle every item we collect when removing furniture from your home. We don’t just offer a furniture removal service. The Recycling People offer various services that are here to help you with waste management, including garden and office clearance. Our prices start from just £39 but we offer free quotes based on what you need collecting. Contact us today on 0800 138 9100 or send us a message to get your free quote.